You can either learn Klipfolio yourself through our free support resources, or you can add professional services to your plan to assist you on your dashboard building journey. We’re here to help. We’ve put together a great set of resources, so check them out and get learning! Choose from multiple learning paths and learn at your own pace with Klipfolio's Courses. Access in-depth help articles right here in the Knowledge Base. For short snippets of contextual information, click one of the many question mark icons located throughout our application. Join one of our free workshops to learn the ins and outs of building dashboards in Klipfolio. If you can't make it to a workshop, watch recorded workshops on YouTube. Post or respond to a thread in the Community Forum to share insights with other Klipfolio users. Our expert agents will help you navigate support resources, quickly resolve issues, and create support tickets for more complicated problems. 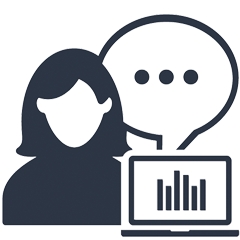 During your trial, in Klipfolio, click the question mark icon to get access to the Live Chat button. You can also access Live Chat from our Help Center and on klipfolio.com. We’re here to help! Open a support ticket and our agents will take the time to help investigate and resolve any challenges that you may encounter. To contact an agent, click the Submit a Ticket button in the Klipfolio Help Center. Show off your dashboard skills and get recognized for your expertise with Klipfolio Certification. 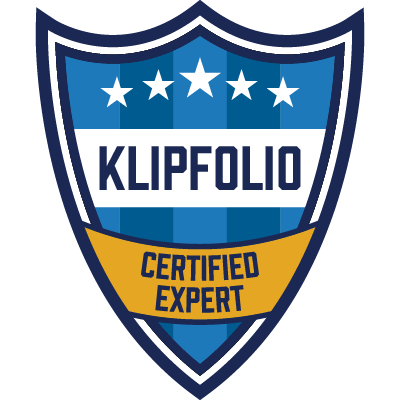 Become a Klipfolio Certified Expert or Klipfolio Certified Partner and demonstrate that you have the highest level of knowledge around planning, deploying, and managing Klipfolio dashboards. You always have free chat and email access to our Support Team. On top of basic customer support, we offer a number of services tailored to how much or how little help you need. 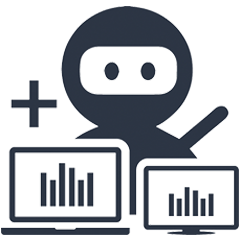 Ninja Services is designed for customers who are interested in personalized dashboard training and assistance. When you sign up for Ninja services, you will be connected with a Ninja for 1:1 training sessions. You will also have access to priority ticket handling and live chat with a Support Team member during business hours. We will help you gain a working knowledge of our software, enabling you to push the boundaries of data visualization and optimize your Klipfolio experience. 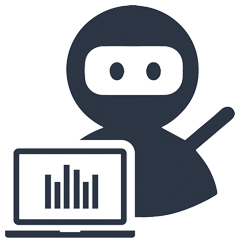 Ninja+ provides the same benefits as the Ninja Services Package but includes twice as much one-on-one consulting time each month. Enlist a Ninja+ professional to help you achieve and exceed your Klipfolio goals.